Do you have an absolute pitch? I believe he has an absolute pitch, people having it are quite lucky, but not only lucky, because you need to improve talent and learn to use it as well. My opinion is even those, who were not born with an absolute pitch can get the relative pitch through a lot of education and practise. Maybe you won’t be able to transcribe any music piece smoothly, I believe so you’ll be able to make fine transcriptions with relative pitch too. Even if you want to work as a musician you’ll be fine with a relative pitch, if you don’t want to be a composer that is. Ps: Thank you for the awesome pieces, Animenz! But you can train to have a perfect pitch, like me, my perfect (Not really 100% perfect) pitch is from my training. How do you practice listening to the pitch? 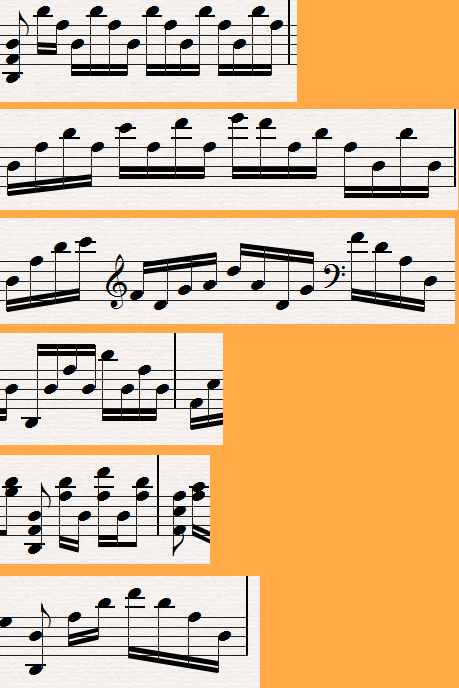 How do you know which note it is when you listen to the original one? Anyway i could improve this? Thankyou for making this post. Go to youtube and take some relative pitch practice/test. Relative pitch is being able to start from a note and recognize notes played after that (perfect pitch recognizes any note without a starting note you can’t get this unless you are born with it). Best way to be good at it is try some songs you love (catchy is best). You do not need to know the original one in the end it doesn’t really matter it will sound good. But you do have to be in the right octave. It’s not that few people are born with absolute pitch. You can learn it just like you learn colors, it’s just that most musicians acquire it at a young age as children tend to learn most things quicker. 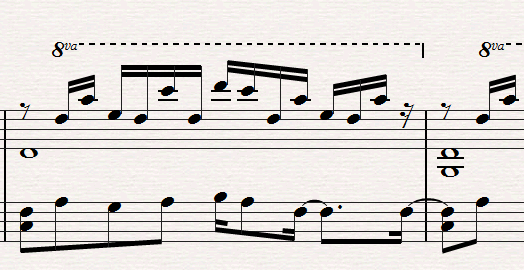 I drill a song into my head and then the notes just start popping out at me. I usually have to play it over 100 times though. I’m quite interested in the playability part. 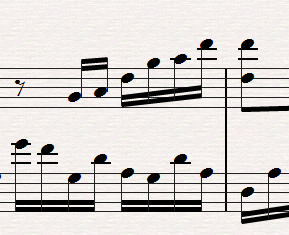 Generally, what spans of chords and what hand-jumping veloicities are playable? Amazing, easy understanding and reliable info. Love it. Can I ask, what is the transcription software that you use? Thanks! My software has no support for Japanese font, and this software wasway back in 2005 according to Wikipedia. Thank you so much Animenz! You are amazing!!! You don’t know how long I’ve been searching for a lesson about transcribing anime music! I appreciate this post soooo soooo much!!!! 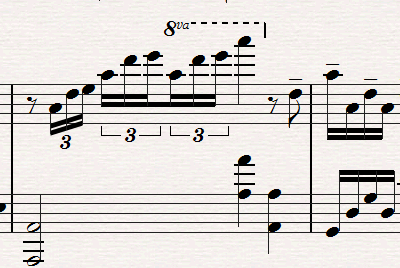 I now understand how to transcribe anime music! You are amazing and KEEP ON PLAYING! I’ve been looking for this information thank you so much! 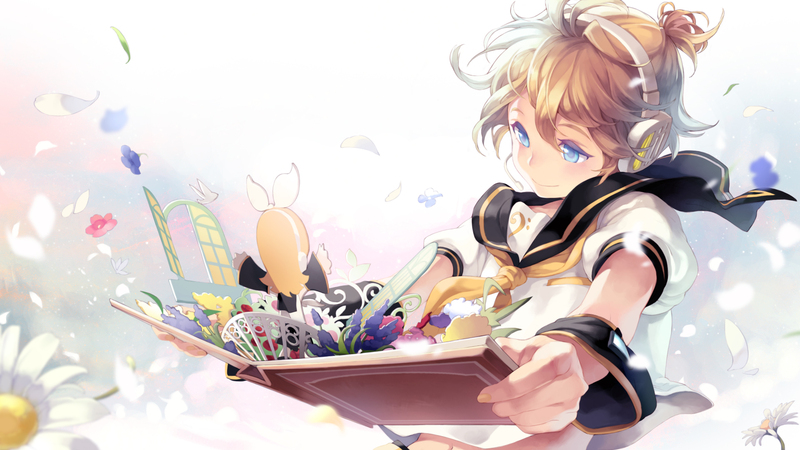 I LOVE YOU FOR PUTTING LEN’S PIC THERE!!!!!!!!!!!!!!!! You lost me in the perfect pitch, I’m like half deaf (I’m not deaf but I’m not good at hearing, sometimes people have to repeat the same thing because I can’t understand). But thanks for the advice! Thank you for everything. You are my hero. 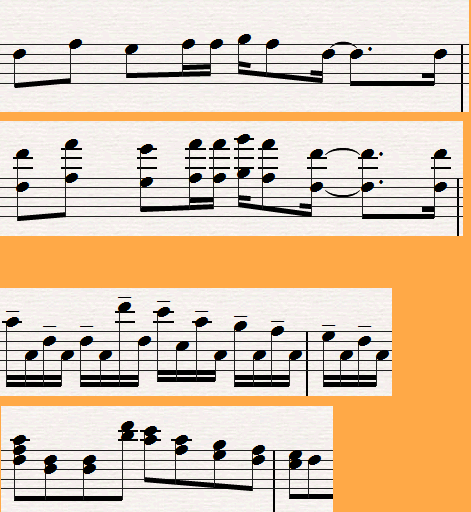 wow, my problem is when i heard music i can guess the pitch but, usually sometimes when i guess a note (e.g do in do=c, the right one is do in do=a and sometime wrong octave) always like that … what should i do so i dont make my mistake repeated in the future?? ?